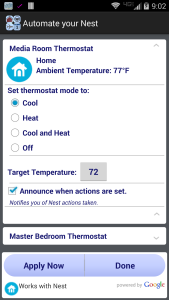 Now iDid works with Nest : iDid Inc.
iDid now controls your Nest thermostats based on your context. 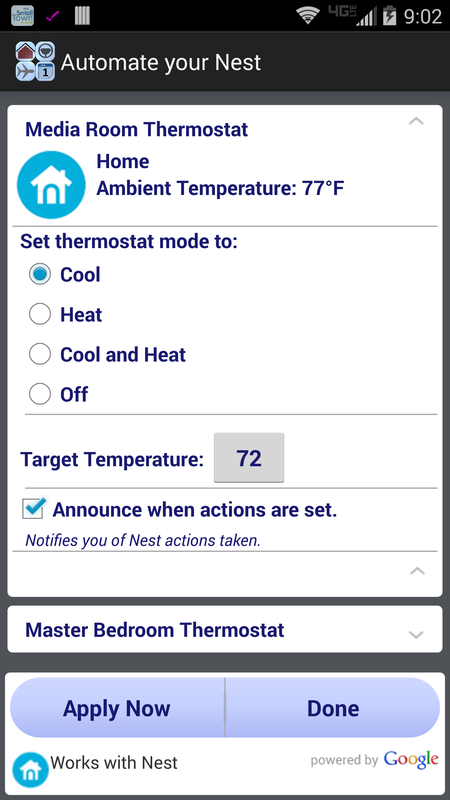 For instance, with Nest thermostat settings tied to iDid-Predictions, you can now set your thermostats to your desired “at-home” temperature before you arrive. 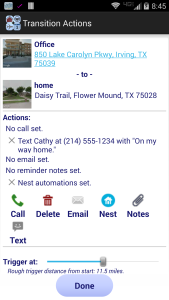 iDid knows when you are headed home and will trigger your thermostats. Want to get very specific? 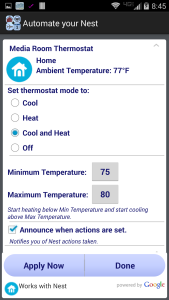 Say you want to control your thermostat only when you are headed home from work or leaving for work. 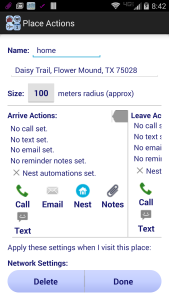 You can do that as well, with iDid-Transitions. Pick the start and end place and an optional trigger distance, that’s it. 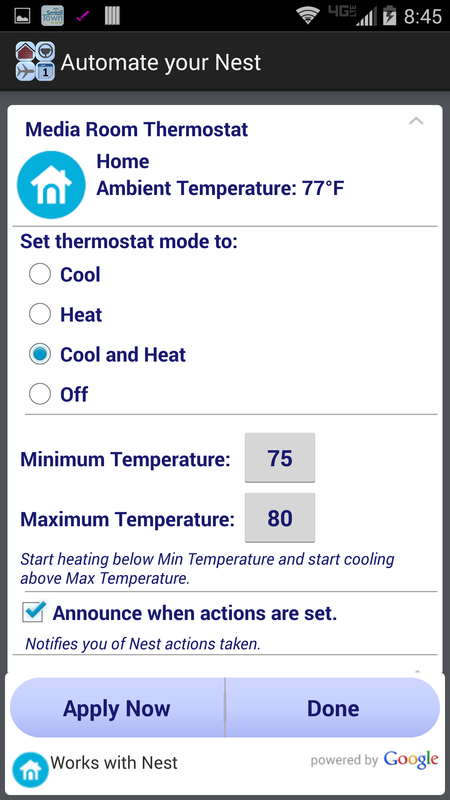 iDid-Predictions model runs in the background and triggers your thermostats or other actions you have set-up when predictions are confirmed. 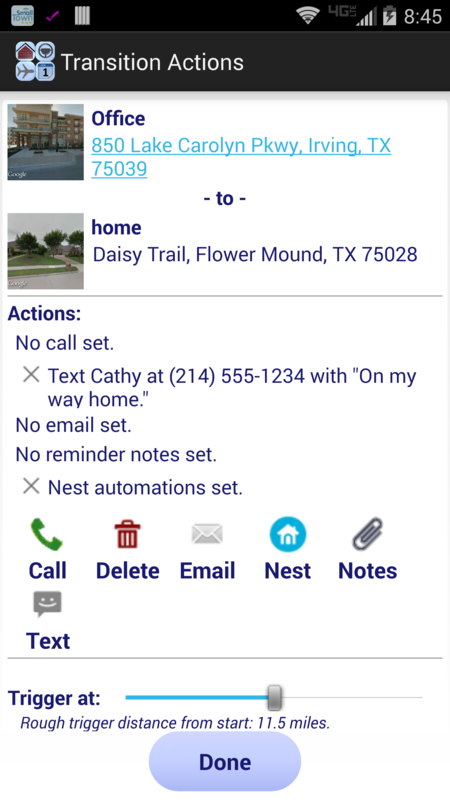 In addition to controlling Nest, you can set up various other automatic actions such as calling, texting or emailing someone, or reminding yourself with a note. 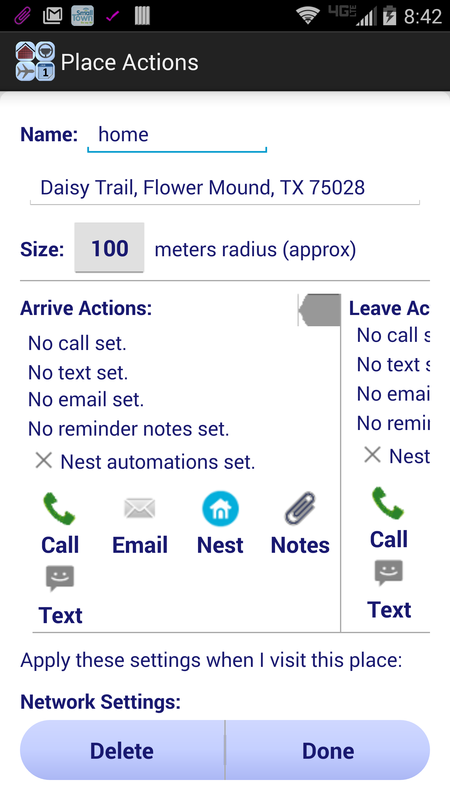 Audio announcements are available for automatic actions that are triggered, so you don’t have to check your phone or take your eye off the road. Now available on Google Play for free download. Coming soon to an iPhone near you.